Right in LG and Samsung's backyard, Apple started accepting pre-orders today for the Apple iPhone 6s and Apple iPhone 6s Plus. All three South Korean carriers sold out in just 30 minutes or less. Pre-orders for the two new iPhone models were actually scheduled to start a week ago, but price cuts initiated by LG and Samsung made the smartphone market ripe for overheating, according to South Korean telecom authorities. Thus, the iPhone 6s and iPhone 6s Plus pre-order period was pushed back a week. LG and Samsung were hoping that by cutting prices, they could take sales away from Apple. The Samsung Galaxy S6 was reduced in Korea by 13%, bringing it down to the equivalent of $706 USD. That happens to be the same price that the LG V10 was priced at for its launch in the country. But even reducing prices on competing handsets couldn't stop the new iPhones from selling out so quickly. Korea Telecom reported selling 10,000 units in the very first minute that its pre-order website went live. After just 10 minutes, Korea Telecom had pre-sold 50,000 units. The Rose Gold models were showing the heaviest demand. Later in the day, a second round of pre-orders was also sold out. LG Uplus sold out of its pre-order inventory of the iPhone 6s and iPhone 6s Plus in just five minutes, while it took SK Telecom 30 minutes to sell out. Unofficially, the latter reserved 50,000 units for its customers. 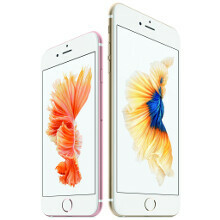 The Apple iPhone 6s and Apple iPhone 6s Plus will be released in South Korea this Friday. That's not that many units reserved... for iphone that's way too easy to sell out.. So total 110,000 iphones? Although it beat Indian launch of 50,000 units, it still doesn't sound like much. There are lots of fashion chasing south koreans who are eager to buy iphones, so 110K is actually small number. I guess that's why pink is the new "in color" for iphone. Nobody can tell you have a "6S" unless it's pink. I hope Google rewards you with a gold star for your efforts. So apparently, there are some iron pyrite among South Koreans too. Apple is destroying the others in their backyard. How big and innovative is this company. might be hard for LG and Samsung, with a reduced price, still couldn't stop it. Well iPhone and MacBooks are quite popular, especially among Korean youngsters. But quite many of them are not happy at Apple for not setting up an Apple Store in Korea (there are none) despite the fact that Apple users are asking for it for a long time). If Apple makes a little more commitment and marketing push, then the iPhones will do even better here. I myself use an iPhone and a MacBook pro despite using a galaxy note as a backup phone. I generally recommend iPhones to ladies or old folks and galaxy phones to men who wants some customization. Quite few of my friends even go for SONY phones for their beautiful designs. Not all Koreans are uber patriotic who only buys Samsung. But Samsung owns South Korea... as Samsung provides huge number of jobs to South koreans and from Samsung affiliates and supply chains. Yes so smart of south koreans to keep buying iphone and macs. Hopefully they can help drive Samsung out of business, so many South koreans will now find themselves in soup kitchen line. But Chinese are ok to buy iphones, as they will get more jobs in foxconn factory. I live in Canada, and all iPhone 6S plus are sold out every where except in the small cities. No surprise the Rose Gold is popular in Asian countries. I feel like Apple released the Champagne Gold and Rose Gold just because they know it'll sell well there. If they were to release a Gold & Black iPhone next year it'll be another hit. Apple could have made Iphone 6S new color puke green, and it would have been wildly popular with ifans. what is best pick? LG g3? note 3? or galaxy j7? ?